A great Amarone! A ruby red wine with aromas of dark cherries and spices. This wine comes from the hills of the Valpantena, the only “cru” subzone in the Valpolicella area. 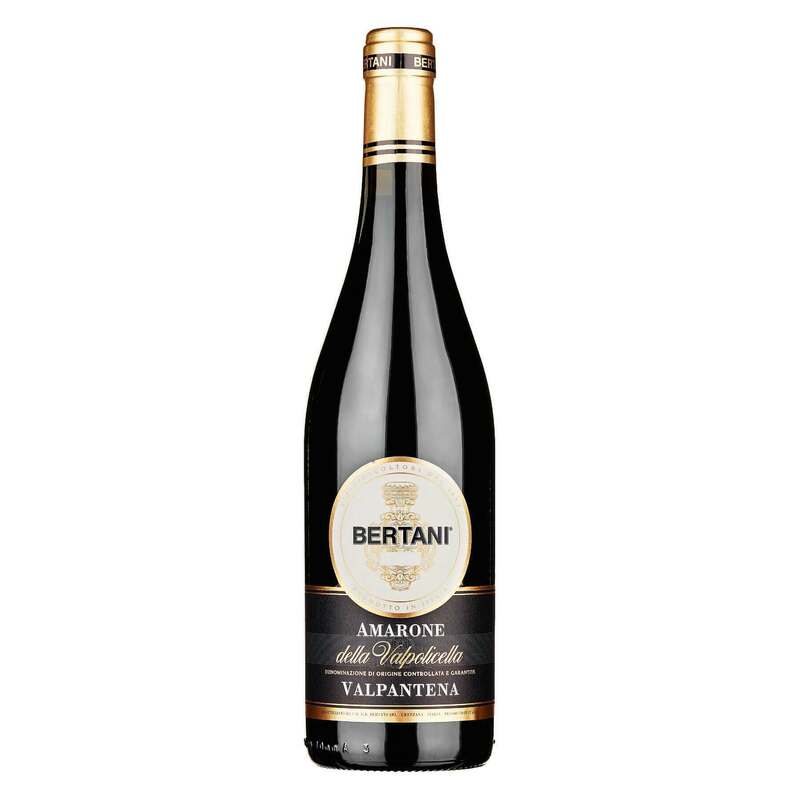 Bertani’s traditional devotion to producing Amarone is also found in this wine, a modern and balanced Amarone, but still authentic and rich in body. New fermentation technology and drying methods give balance and elegance to the wine’s exuberant fruity notes, blackberry flavour, hints of mint, sweet cherry and spicy notes that are typical of this valley. Tasting notes: An intense red colour with purplish highlights. On the nose, marked and intense aromas of very ripe cherries, sour cherries, fruits of the forest, spicy and nutty notes typical of the Valpantena. Good follow-through of red fruits on the palate, with supple tannins to give depth. Food pairings: It is a full-bodied wine that needs rich dishes, mature cheeses and strong-flavoured meats.